When we study Dao, there are three Chinese Classics we need to read, Dao De Jing 道德經; , Yijing 易經 and the Huangdi Neijing 黃帝內經 Yellow Emperor’s Internal Jing. The knowledge is all over 5000 years old. They are so old that it is hard to trace their origins completely. It is very hard to know the exact time the Dao De Jing was written, but we do know the author was a man named Lier 李耳. People gave him the name Laozi老子. “Lao” means “Old” and “Zi “means “Mr”. He was given this name following the way that other Chinese philosophers of the time were named, like Kongzi孔夫子, Zhuangzi莊子, Mengzi孟子etc. Being called old as not disrespectful, someone who is old has a lot of knowledge and experience and this is the reason in Traditional Chinese Culture older people are respected. The Yijing is about how everything changes. Everything in the universe is changing and every change happens for a reason and will follow the natural principle of Yin and Yang. So some people can use it for predicting the future as they can work out how things will change. This book and its philosophy are they foundations of Chinese Culture. The Huang Di Nei Jing (you will notice that all Chinese classics are called “Jing 經”) is an account of when the Yellow Emperor (who was ruler at that time) asked a knowledgeable person called Qi Ba 岐伯 questions about the principles of nature, health and medicine. 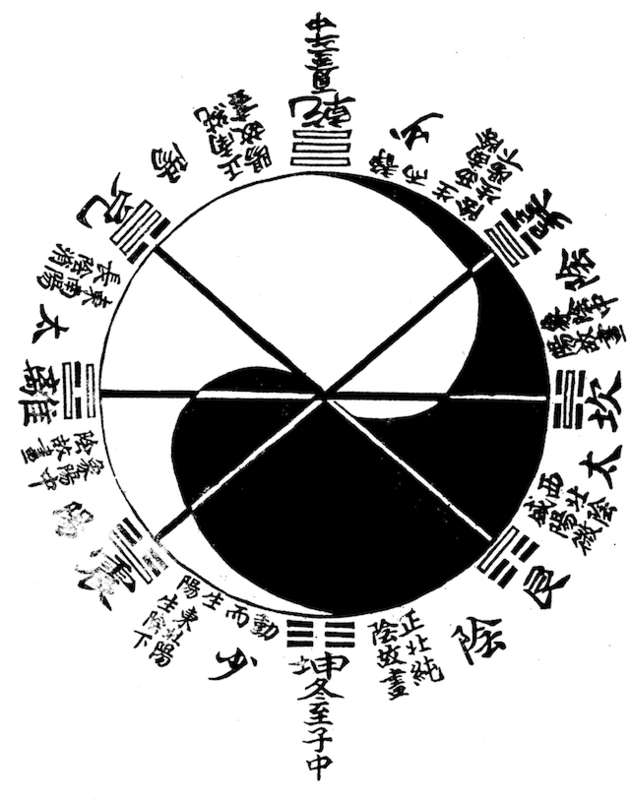 The book records his answers and so any doctor of Traditional Chinese Medicine, Qigong or Kung Fu practitioner must read the Yellow’s Emperor’s Internal Jing. The Dao De Jing describes the principle of Dao. Laozi gives a lot of examples to try and explain the meaning of Dao, however in the very first chapter he says “If you describe Dao, then this is not Dao.” So you see that we need a very deep understanding and it cannot be explained and cannot be written down. You need to be enlightened and even when you get it, it is hard to explain. This is very interesting. I’ve heard of the three classics before but never knew in detail what they actually were. Does this mean that the best way is to get a Chinese copy and study it ourselves? Yes – all those Traditional Chinese Medicine Doctors and Kung Fu Practitioner should study Yellow Emperor Internal Jing Book if they want to be very good. However there are not everyone is studying with it is still good. But they all know all principle they use is base on that book. If you get the Chinese version that you will not understand it, beside it is old classic Chinese writing, it needs someone is good enough to understand to interpret it. So in the west you can get the English version which you think is good enough. And also ask your teacher about more details.